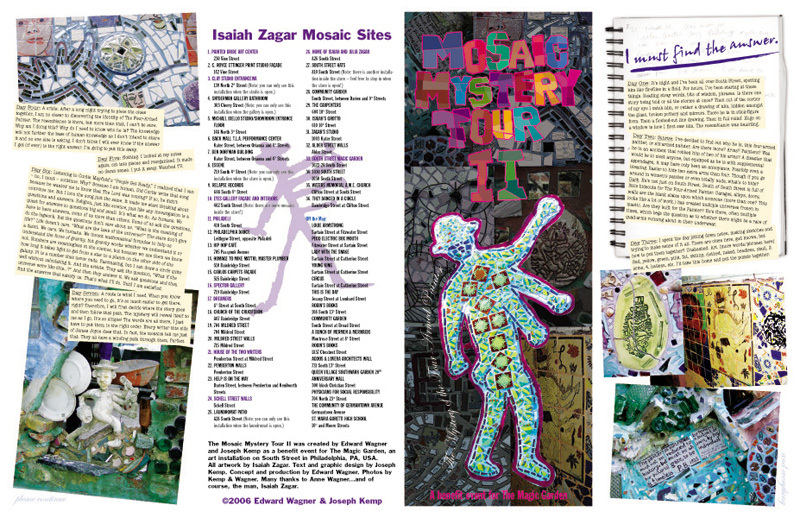 Joe Kemp and I designed the Mosaic Mystery Tour for the 2005 Philadelphia Fringe Festival, and followed up with the Mosaic Mystery Tour II for the 2006 Festival. 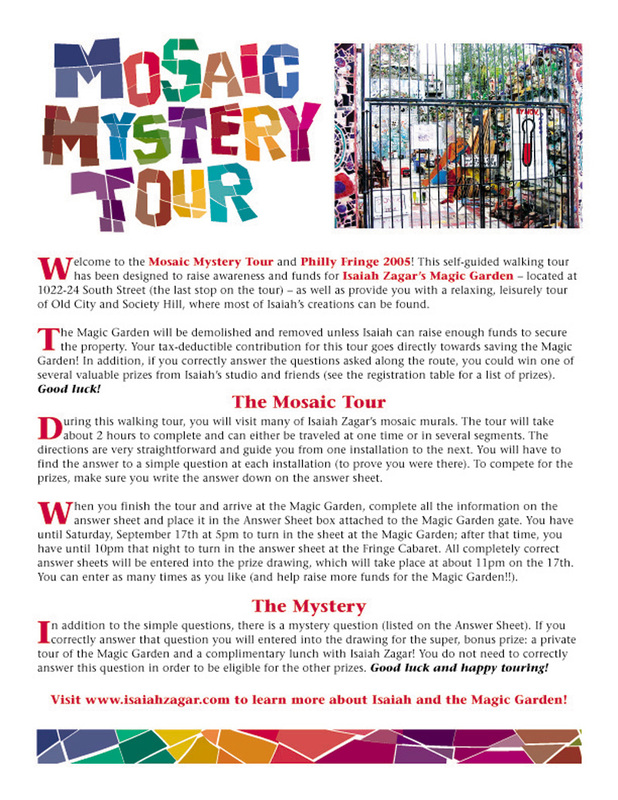 The two tours were fundraiser's for Isaiah Zagar's Magic Garden (www.isaiahzagar.com). They were conceived after I read a Philadelphia Inquirer article about the threatened demolition of the Magic Garden. We raised just over $2,000 during the two tours and introduced many people to Isaiah's work around the city. 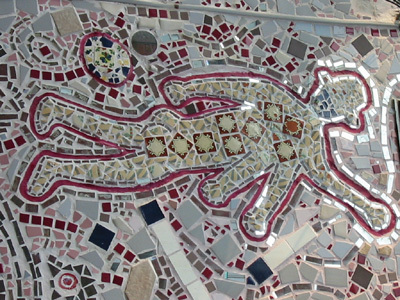 The Mosaic Mystery Tour was a walking tour of 30 installations found east of Broad Street. It was designed to be completed in about 2-3 hours. The participants were asked a question at each mural - if they correctly answered them and turned in the sheet before the end of the Fringe Festival, they were entered to win one of Isaiah's smaller murals. 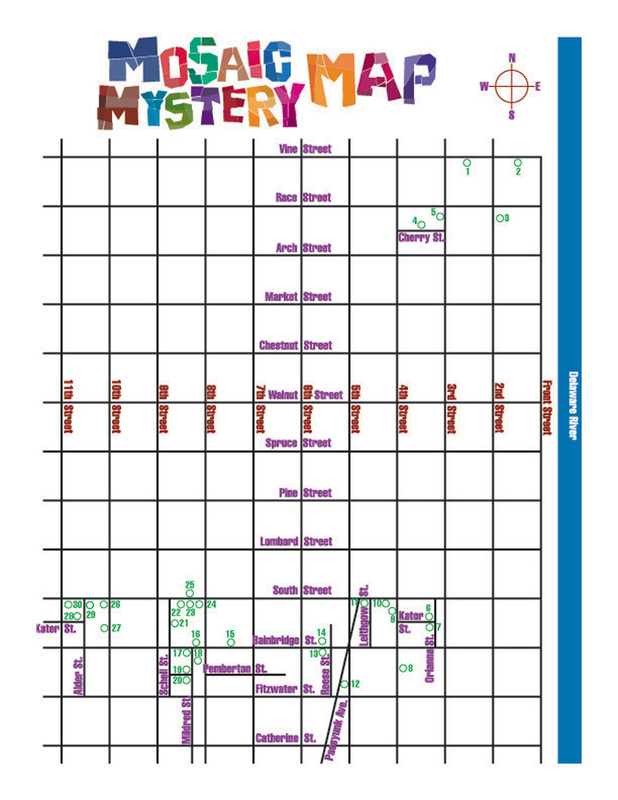 In addition, there was a riddle that participants could solve using the answers from their sheet - correctly solving this entered you in the special drawing to win a lunch with Isaiah! After meeting with Isaiah to discuss ideas for the next Fringe Festival, we decided to focus on Isaiah's alter ego, the Four-Armed Painter, which shows up in many of his murals. 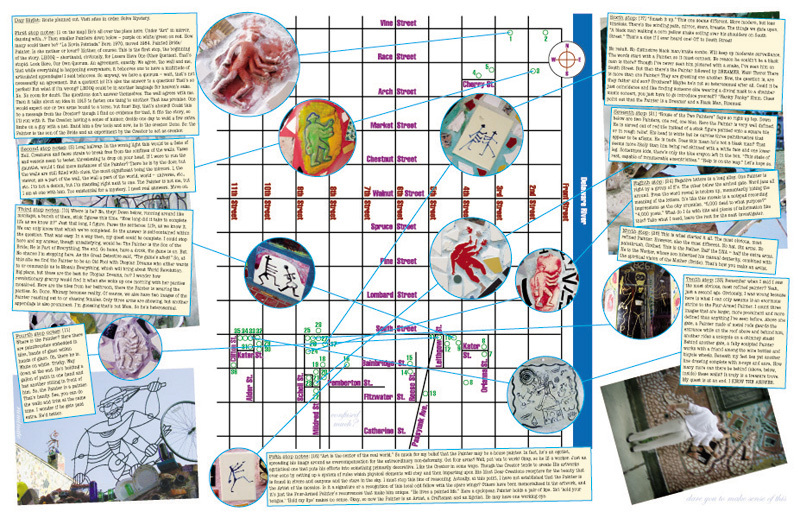 Joe wrote a stream-of-conscientious story about his encounter with the four-armed painter. Participants followed his vision on their tour and then were asked to record their own interpretation of the four-armed painter. During this tour, any answer was the right answer.